After a hearing on September 19, the Georgia Board of Pardons and Paroles denied clemency to Troy Davis who is facing execution on September 21, despite presentation of testimony casting doubt on his guilt. Brian Kammer, one of Davis's attorneys, said, "I am utterly shocked and disappointed at the failure of our justice system at all levels to correct a miscarriage of justice." Davis's claims of innocence have received international attention, and calls for clemency have been made by Pope Benedict XVI, former President Jimmy Carter, former FBI Director William Sessions, former Georgia Supreme Court Chief Justice Norman Fletcher and others. Doubts about Davis's guilt were raised when some prosecution witnesses changed their stories after giving testimony against Davis, including accusations pointing to another suspect as the murderer of a police officer in Savannah. The Board heard testimony from a juror in Davis's original trial who now says she has too much doubt about his guilt and would change her verdict. They also heard from a witness who originally testified against Davis, but has since recanted her testimony, and from Davis's family. The Board had held two previous clemency hearings for Davis, but the makeup of the Board had changed since he was denied clemency in 2008, and new testimony had been given at a federal court hearing in 2010. UPDATE: Davis was executed late on the night of Sept. 21. The U.S. Supreme Court delayed the execution to consider final appeals, but then denied as stay. 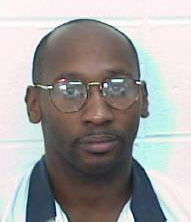 In a press release, Larry Cox, executive director of Amnesty International AIUSA, said, "It is unconscionable that the Georgia Board of Pardons and Paroles has denied relief to Troy Davis. Allowing a man to be sent to death under an enormous cloud of doubt about his guilt is an outrageous affront to justice. In 2007 the Board vowed that no execution would go forward unless there was ‘no doubt’ about guilt, a vow that has now been rendered meaningless. To fail to re-examine the facts, including allegations about an alternate suspect, and allow this execution to go forward is an injustice to both the Davises and the MacPhails. Amnesty International urges the Board to reconsider its decision immediately, and for District Attorney Larry Chisolm to seek to vacate the death warrant. Should Troy Davis be executed, Georgia may well have executed an innocent man and in so doing discredited the justice system." The victim's mother, Anne MacPhail, expressed satisfaction with the outcome of the hearing. "I am very convinced that he is guilty," she said to CNN. (B. Rankin, "Parole board denies clemency for Troy Davis," Atlanta Journal-Constitution, September 20, 2011; Press Release, Amnesty International, Sept. 20, 2011). See also Clemency and Innocence.